13th Monkey werden am Samstag, den 06. Februar 2010 live im Rahmen der Brainstorm in der Roten Flora in Hamburg auftreten! 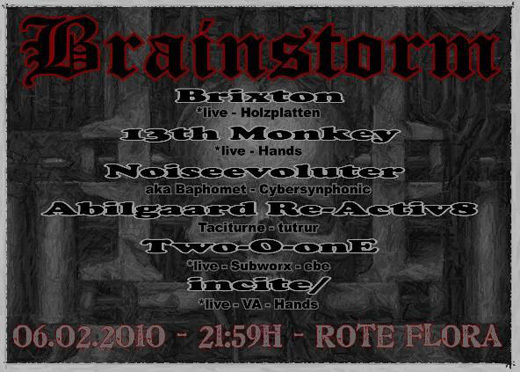 On Saturday, February 6, 2010 13th Monkey will play live at the Brainstorm party at the Rote Flora in Hamburg! 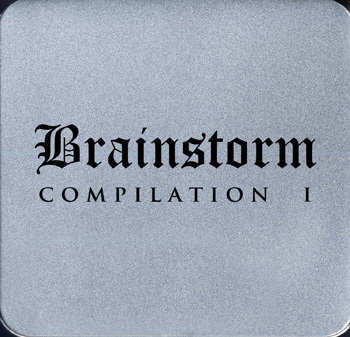 At the party you can also buy the Brainstorm Compilation 1 (including an unreleased Yakis mix!) which was released in December and is only sold at the Brainstorm events.